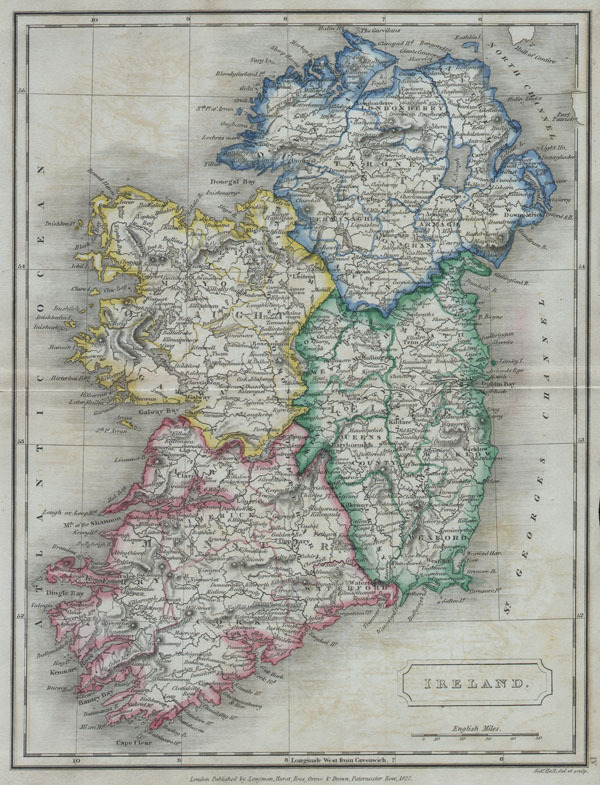 A beautiful hand colored map of Ireland from Butler's 1822 School Geography. Dated. Very good condition. Minor transference. Good margins. Blank on verso.